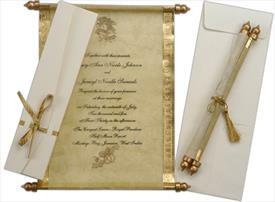 Description: The oldest style of invitation, which still holds out such a stylish signature . 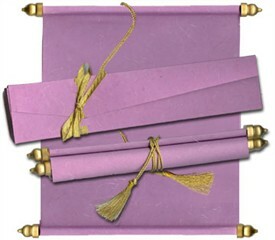 . . the scroll card! 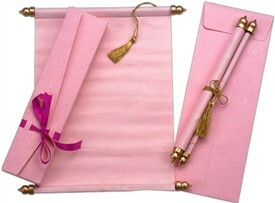 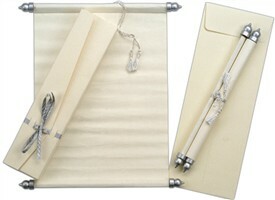 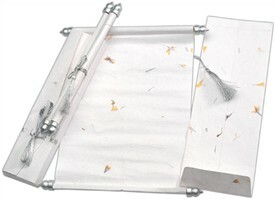 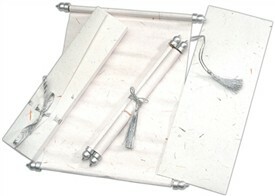 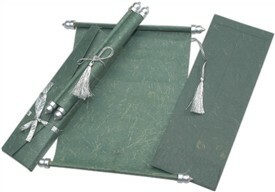 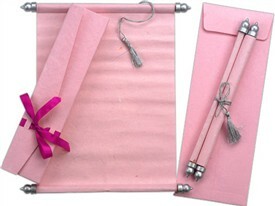 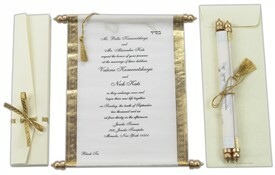 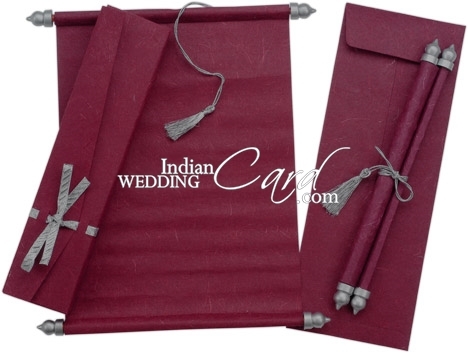 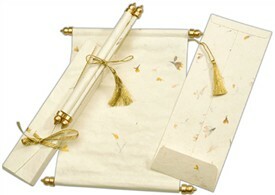 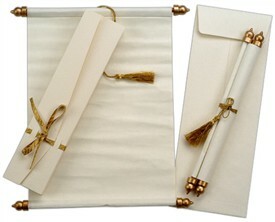 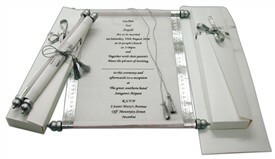 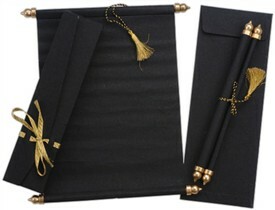 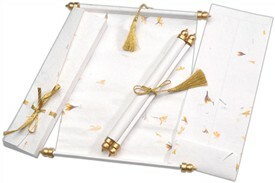 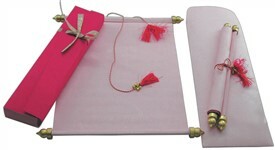 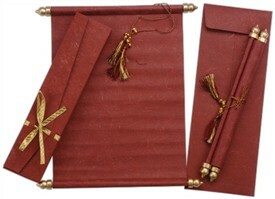 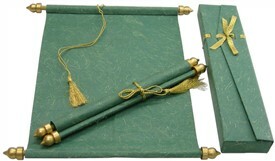 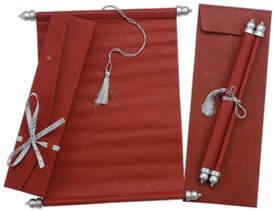 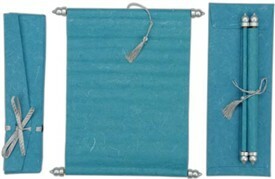 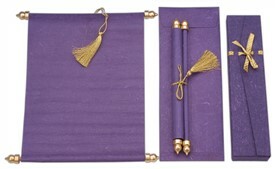 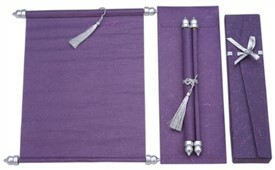 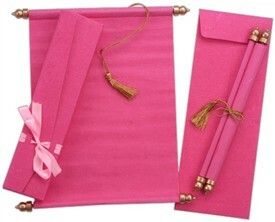 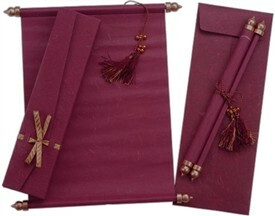 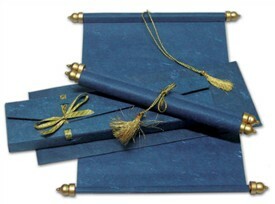 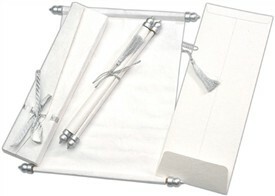 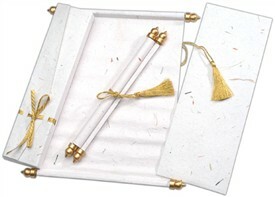 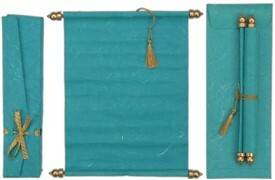 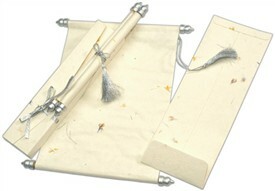 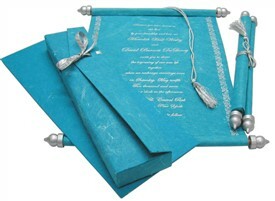 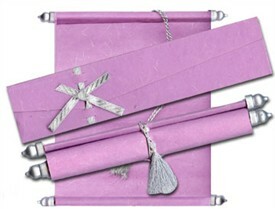 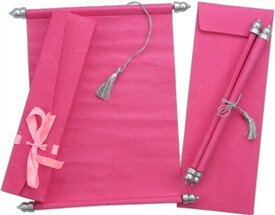 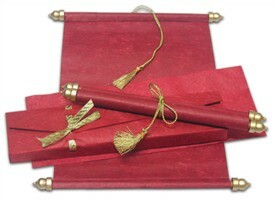 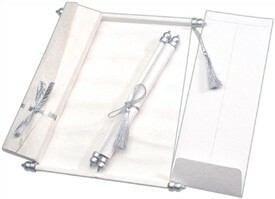 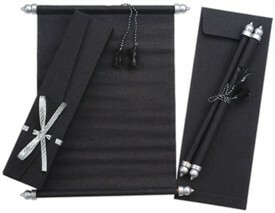 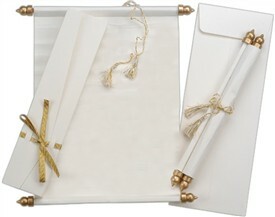 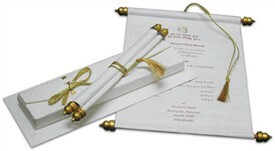 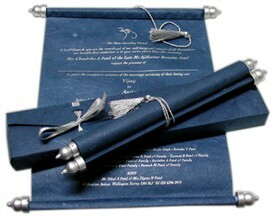 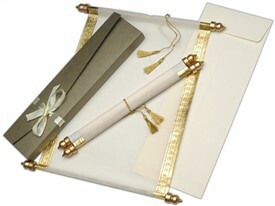 This scroll card is plain with silver frame bars and tassel to tie. 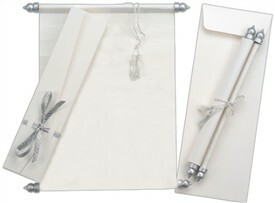 The envelope is plain too with a silver ribbon.